The second Birmingham Policy Commission evaluated the role of nuclear power generation beyond the present horizon, exploring technical, environmental, political, sociological and economic factors. 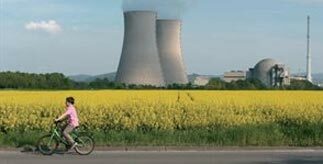 "What should be the role of nuclear power in a secure future energy supply?" A public presentation by Professor Martin Freer at the Lunar Society (January 2012). Read a summary of the discussion (PDF - 89.0 KB) and view the presentation (PDF - 12.5 MB). Read comment pieces written by members of the Commission.